Richard Laymon. The Cellar. Cemetery Dance 1997. Limited Edition. Hard Cover. Signed by Author. Fine / Fine. 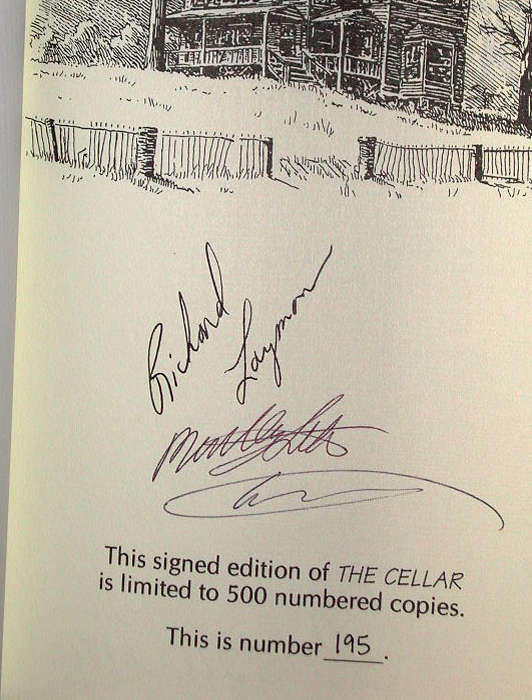 This number 195 of 500 signed and numbered copies - signed by Richard Laymon, artist Alan Clark and Bentley Little who provided the introduction. Grey cloth boards with black foil blocking to spine, head/tail bands, white embossed endpapers. A very nice clean square copy - possibly read once - in equally fine DJ and slipcase as issued. 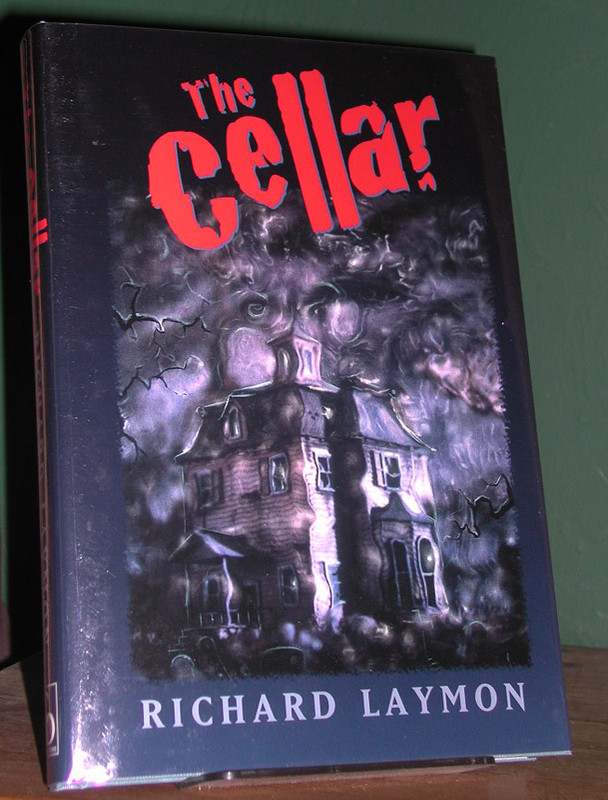 Scarce and highly sought after by Laymon collectors.